After two years off, it’s back! Your choice, 5K or 10K Relay (2 runners take on a 5K consecutively). Once the starting horn goes off, runners will begin their trip around Flushing Meadows Corona Park, taking in all the iconic sights, including the Queens Unisphere and the New York State Pavilion, which will make for great photo opportunities. We surprised folks at our previous event with hot cocoa, and since FTLoQ 5K is a February race, we can advertise that if you are brave enough to race with us, you’ll get cocoa! You’ll also have a fun race DJ to jam out to after the race! Couples are encouraged to sign up as a duo for twice the fun (at the same registration price, this is a 2 for 1). Upon the start of the race, the lead runner from the duo will set off, and just before arriving at the start/finish area, will hand off the “baton” to the closer! All runners who have completed the race are encouraged to stay and watch the Cupid’s Relay unfold for what will be a chilling and ultimately thrilling conclusion to the adult races. The course is USATF Certified. This is a looped course, and uses the same route as our “World Cup 5K” Route and 98% of the “Corona Mile” route. The route starts approximately 50 meters south of the Queens Unisphere, heads around it in the direction of the USTA Center, and makes a left turn up the Hall of Science overpass (the only real “bump” of the route”) and wraps around the Queens Zoo. You’ll then head over the New York State Pavilion Overpass and after about 100 meters, make a left turn to complete your 1st loop. Closing partners of the relay are welcome to cheer their openers on the course (preferably within the last 150 meters of the loop) and stay bundled and use the straightaway next to the race course to do strides, but it is your responsibility to be ready for the handoff. Important! When you get near the finish of the 3rd and last loop, if you are in the RELAY, approach on the LEFT side of the path where you’ll find your partner at the exchange zone. If you are completing the 5K, approach on the RIGHT side of the path. We will make sure to have volunteers near the last 200 meters of the route to direct you. 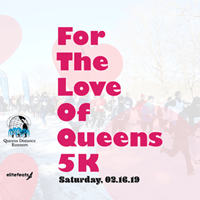 Kids can get involved in showing their love for the borough This will be the 1st “Kids of Queens” event in 2019. The Kids of Queens is the flagship Youth Program of the Queens Distance Runners with local youth training and it is free of charge throughout the year. Youth have the opportunity to race for free following the completion of the adult race. Simply select "Kids of Queens" for Race Registration. We look forward to seeing the kiddos all bundled up and enjoying the 1st Kids of Queens of 2019! The Kids of Queens will begin at 10:30AM, so please arrive by 10:00AM to watch the Cupid’s Challenge and get your pins and bibs from the race hub. The Love is back, and we can’t wait to see you on February 16th! 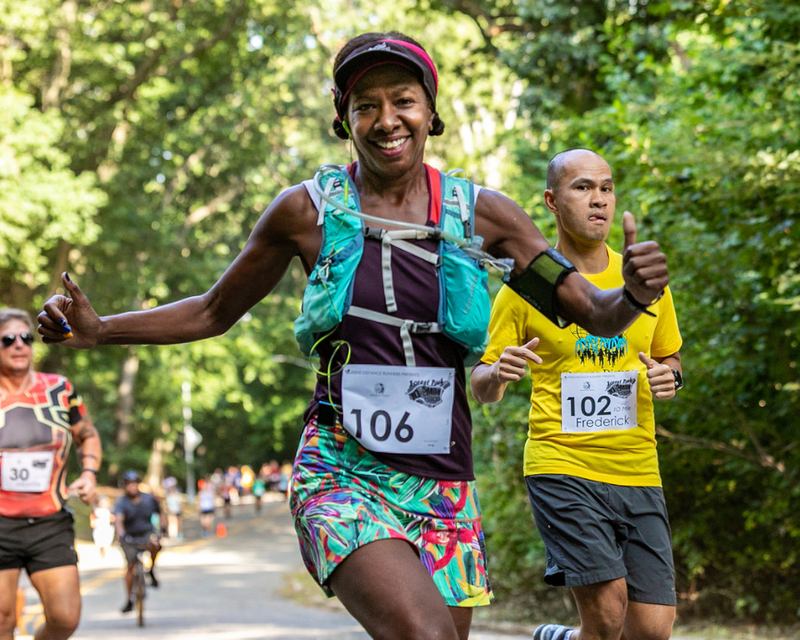 Official Race Photography Compliments of Horse and Duck Photo In addition to complimentary race day photos from elitefeats, Horse and Duck Photo will be on the sidelines capturing your very best moments of the race! Race photos will be available usually within 72 Hours following the completion of the event.